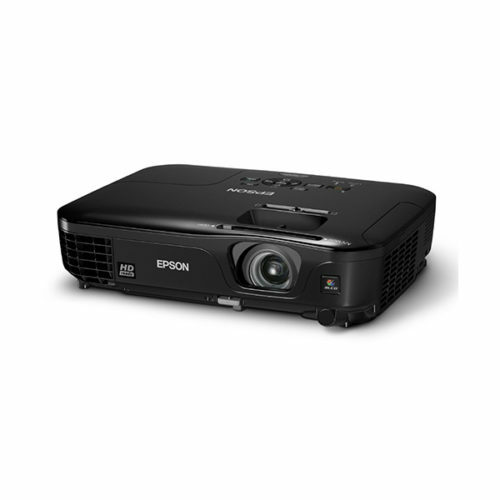 Get amazing big-screen entertainment with the Epson EH-TW480. This affordable, widescreen projector makes it easier than ever to enjoy spectacular movies, games and sporting events in the comfort of your own home. With 2,800 lumens of colour and white light output, images will shine bright in any room. Powerful 2,800 Lumens Light Output and Colour Light Output – Bright enough for daytime viewing without the need to draw the curtains. Gaming Specific Colour Mode – Big Screen gaming with superb colour accuracy, and fast response. Easy Setup With Horizontal and Vertical Keystone – 1.2x Optical zoom, auto vertical keystone (±30 degrees) and sliding horizontal keystone correction. USB Plug ‘n Play – Transmit Images, Sound and Mouse Operation through one USB cable. HDMI Input for High-Quality, High-Definition Video – Deliver both audio and brilliant HD video content with just one cable. PC-Free Slideshows – Plug your USB memory device into the USB port and present. Powerful BrightnessWith up to 2,800 lumens Light Output, EH-TW480 is ideal for use in a variety of locations including lounge rooms, and games rooms. Watch the big game live, as it happens, or your favourite movie, all without having to draw the curtains or dim the lights. Designed With Gamers in MindThe excitement of the latest console and PC games on a big screen in your own home is hard to match! 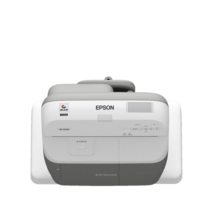 With this in mind, Epson included numerous gamer-specific features to ensure that your gaming experience is as amazing as possible. The EH-TW480 has all the connections required for the most popular game consoles and personal computers including HDMI, the highest quality multimedia digital interface available today. Connect easily to your Nintendo Wii™, Sony PS3®, Microsoft X-Box® or your DVD and Blu-ray player! To make things even better, the EH-TW480 comes complete with a gaming specific colour mode which offers the best range of colours for today’s hottest games, just the way they were intended. Plus when operating in game mode, response speed is greatly increased so there is virtually no lag time, making your gaming experience more realistic. 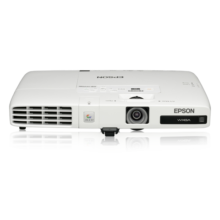 Easy Set Up With Horizontal & Vertical KeystoneEpson’s horizontal and vertical image (keystone) correction means you can project a rectangular image from almost any angle. 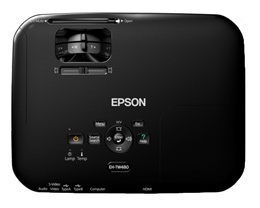 The EH-TW480 automatically corrects the image vertically. And for horizontal image correction just move the easy-slide control bar to make the necessary adjustments. 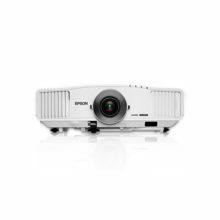 Your EH-TW480 projector can be off to the side and above or below the screen, while your presentation is front and centre. USB Plug ‘n PlayEpson’s advanced 3 in 1 USB connectivity enables instant Plug ‘n Play setup for Video, Audio and Control. Forget about complicated computer key sequences and non-intuitive controls. Instead, just plug in a standard USB cable and let your presentation impress the audience. HDMI Input for High-Quality, High-Definition VideoDeliver both audio and brilliant HD video content with just one cable. Compatible with the latest laptops, Blu-ray® and media players. PC-Free SlideshowsJust plug your USB memory device into the USB port, and you are ready to display whichever slide you choose from the drive.